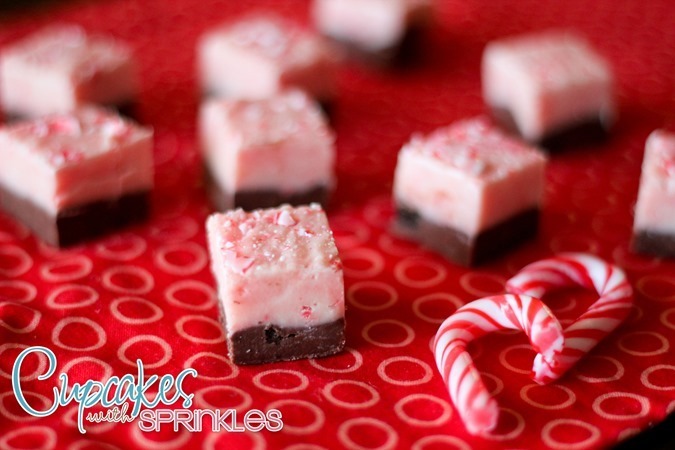 Its Meghan from Cupcakes with Sprinkles and its my favorite time of the month when I get to post here! 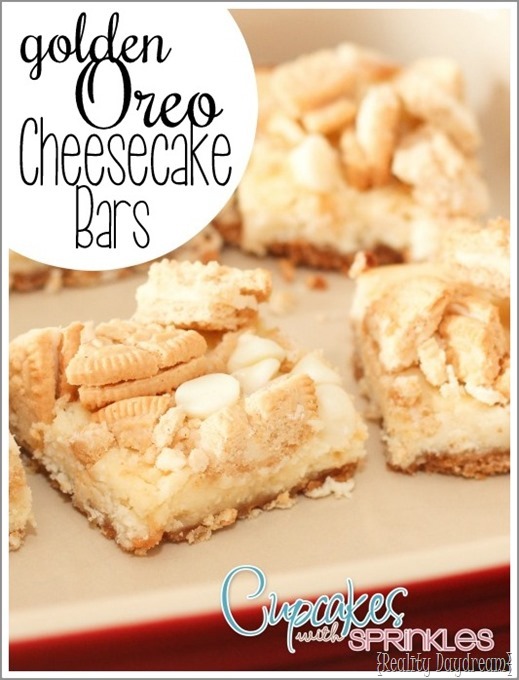 Cheesecake is one of my favorite things and I was looking for something with white chocolate and I had an extra package of Golden Oreo’s so this was perfect. 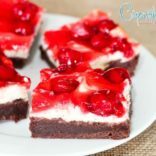 Its smooth, creamy, and sweet and not at all heavy and thick, and so its the perfect light fall version of cheesecake! 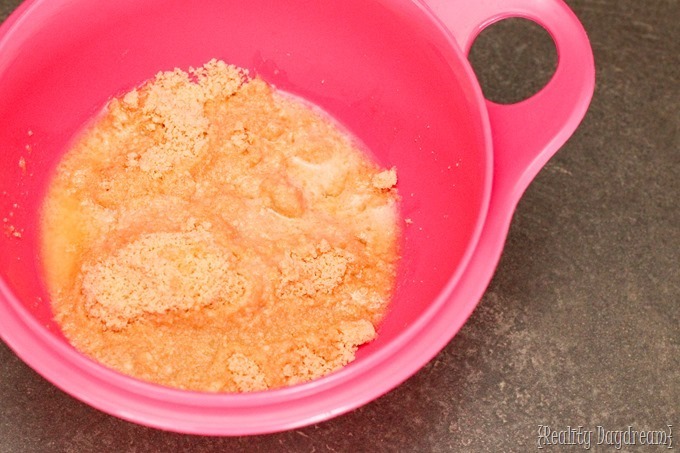 Pour your Oreo crumbs in a bowl and add in the melted butter. Mix until combined and press into your greased dish. Bake for 5 minutes and let cool. 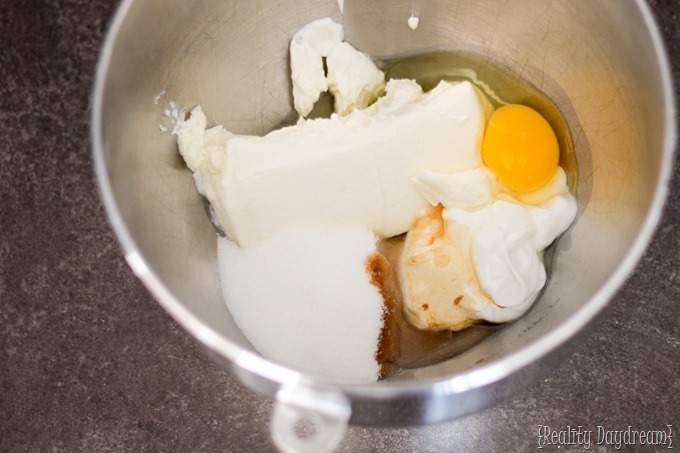 In the bowl of a stand mixer put cream cheese, sour cream, sugar, vanilla, and the egg. Beat until well combined and creamy. Add in 1/2 cup of the white chocolate chips and stir to combine. Pour over the crust and bake for about 35 minutes. Let cool on a wire rack for 10 minutes. 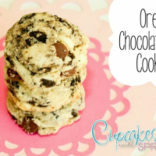 Chop up the rest of the Oreo’s and gently press on top of the cheesecake along with the rest of the white chocolate chips. Let cool completely and cover with saran wrap. 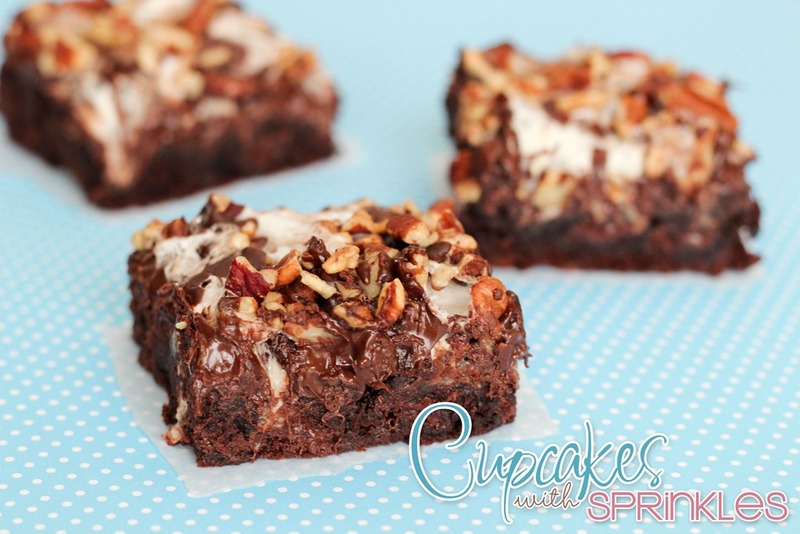 Refrigerate for at least 3 hours before serving. Cut and enjoy! Preheat your oven to 350 degrees. Lightly grease a 9×9 inch baking dish. 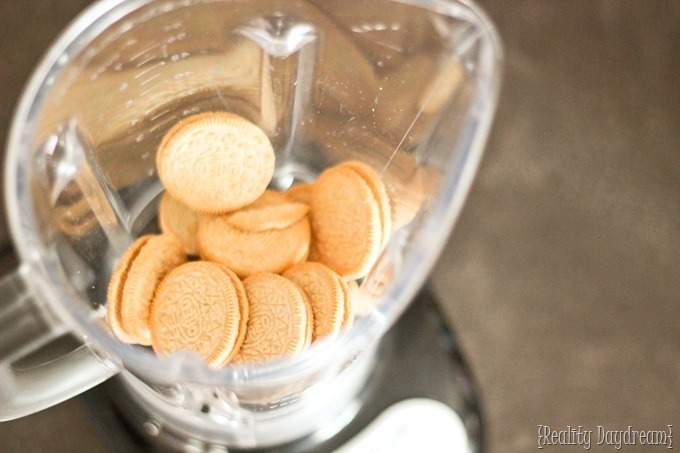 In a blender finely crush 12 of the Oreo’s. 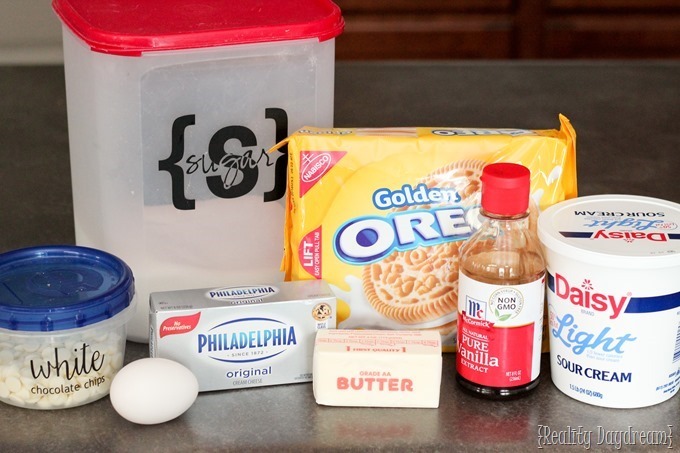 Pour your Oreo crumbs in a bowl and add in the melted butter. Mix until combined and press into your greased dish. Bake for 5 minutes and let cool. In the bowl of a stand mixer put cream cheese, sour cream, sugar, vanilla, and the egg. Beat until well combined and creamy. 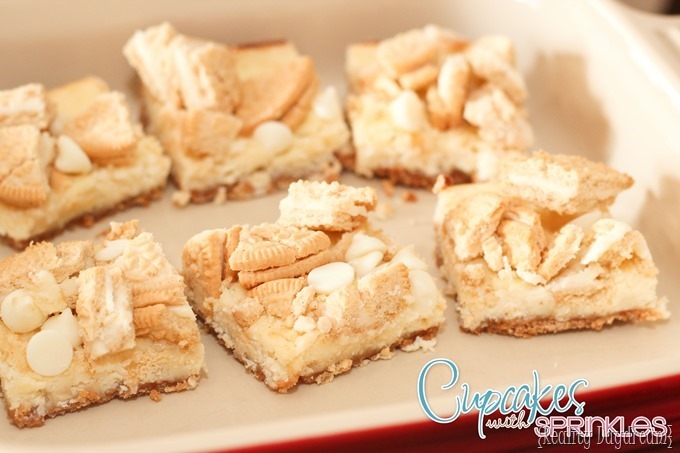 Add in ½ cup of the white chocolate chips and stir to combine. Pour over the crust and bake for about 35 minutes. Let cool on a wire rack for 10 minutes. 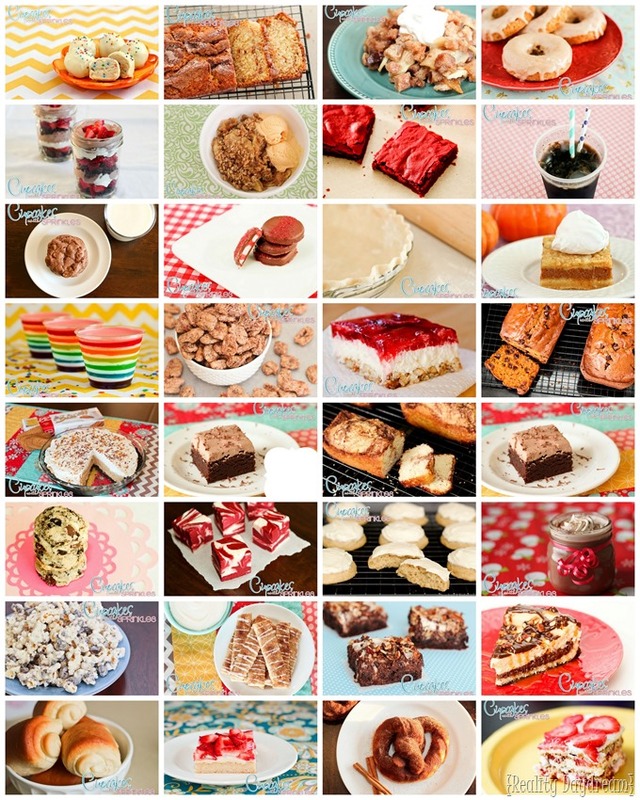 Be sure to check out these other yummy recipe’s from our archives!